Find your inspiration with recipes, ideas, tips, and more! 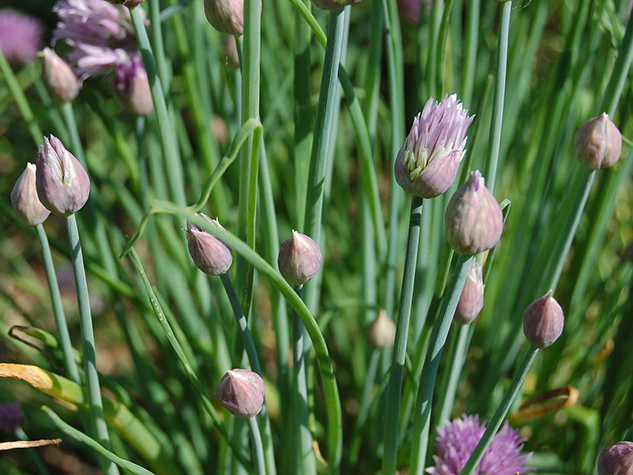 The chive is a bulbous plant that belongs to the Alliaceae family, along with onions, leeks, garlic and shallots. The exact origin of this aromatic herb remains unknown. Although it was the first European settlers who introduced the version that is currently cultivated in North America, Native American were already consuming the leaves and bulbs of very similar wild species. Chives grow naturally and very easily wherever they are cultivated, as the wind, insects or birds disperse their seeds. So this is a good reason for planting them in the corner of your garden or balcony, coupled with the fact that the beautiful lavender blue chive flower is a sight to behold. Chives endure our winters well and are perennial. Chives are perfect for flavouring potatoes, omelettes and soups. The flowers are also edible and they add a dash of colour to salads. Chives form part of the ‘salted herbs’ recipe used in traditional Acadian (Cajun) and Quebecois cuisine. In fact, all fresh herbs can be gradually salted from their harvest or their purchase. Layer 2 cm of herbs in a glass bowl and generously sprinkle sea salt over it. Keep repeating the layers of herbs and salt. Cover the bowl and refrigerate for 2 weeks before adding it to soups and stews. Originally published in the Journal de Montréal on July 31, 2010. 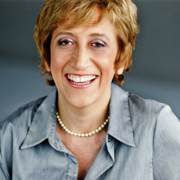 Cinzia Cuneo, founder of SOSCuisine.com, never wanted to neglect the quality of her food. She shares her special expertise to make good food quickly and without complications! Can It Be Harmful to Have Too Much “Good” Cholesterol? Get nutrition advice and cooking tips delivered for free in your mail box every week. My email will never be transmitted to third parties and I can withdraw my consent at any time. SOS Cuisine. All rights reserved.